The Taubman Museum of Art is an eleven-gallery art museum in Roanoke, Virginia. The main gallery level - the Fralin Center for American Art - hosts up to 20 exhibitions each year. Taubman has featured artists as varied as Kehinde Wiley, John James Audubon, Sally Mann and Norman Rockwell. And children can enjoy a hands-on creative experience in Art Venture, the museum’s interactive learning space. 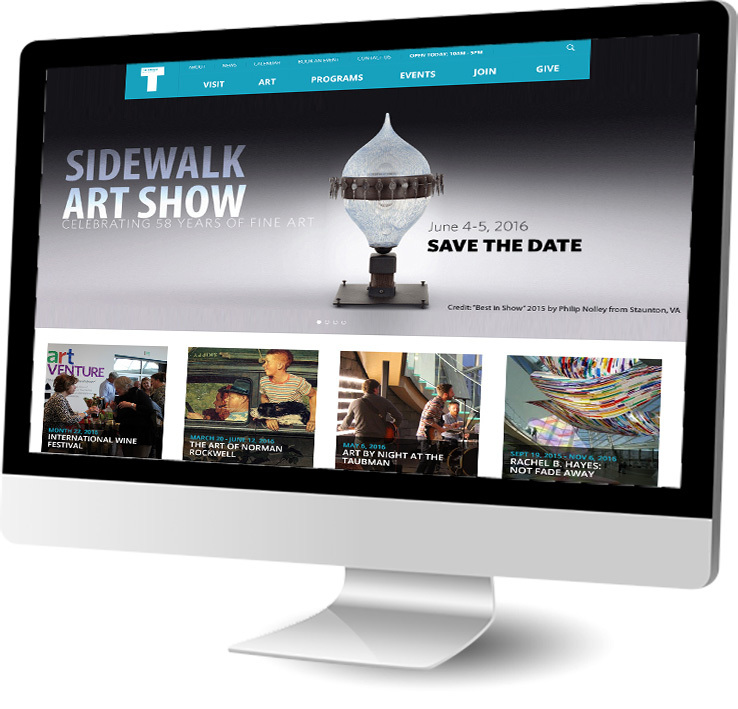 WebArt’s marketing program for the museum includes website design and maintenance, budgeted and optimized pay-per-click campaigns, and reporting on those PPC campaigns. "You guys are so smart and your entire staff is an absolute pleasure to work with. We’re lucky to have you as part of the Taubman team!"